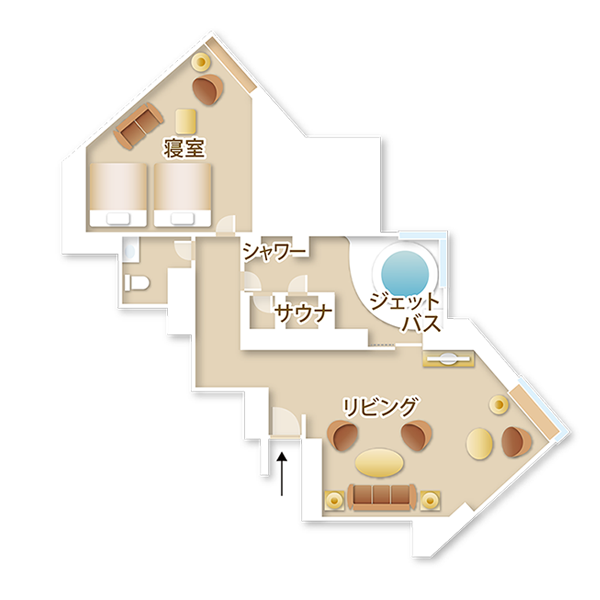 All rooms at RISONARE Tomamu are suites. 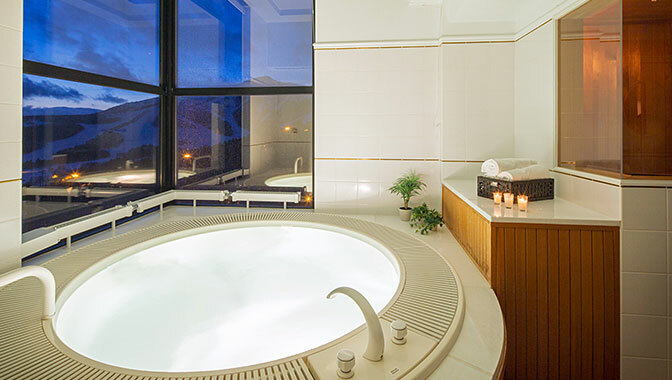 Enjoy a spectacular view of the great outdoors from your jet bath. You've got plenty of room with a separate living room, master bedroom, view jacuzzi, shower room, private saunas in 100m². 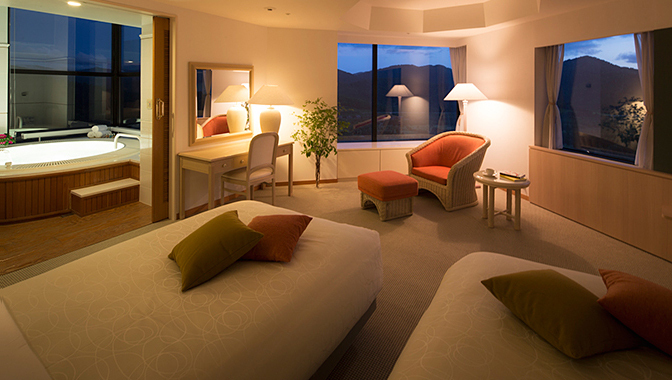 All the rooms, located on 16th or higher floors, offer a commanding view of magnificent nature scenery. You've got plenty of room with a separate living room, master bedroom, secondary bedroom, view jacuzzi, shower room, private saunas in 120m². You’ll feel relaxed in the spacious room. 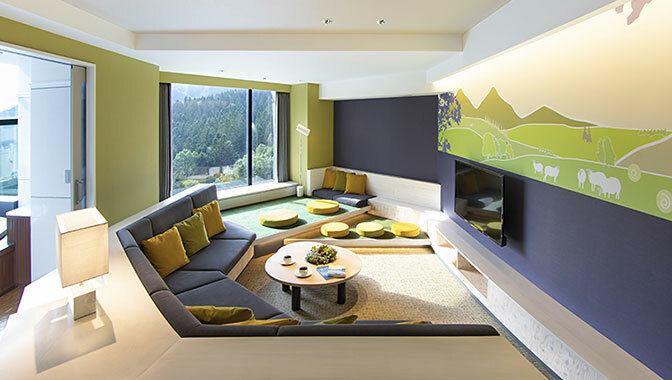 All the rooms, located on 15th or lower floors, offer a closely view of nature. 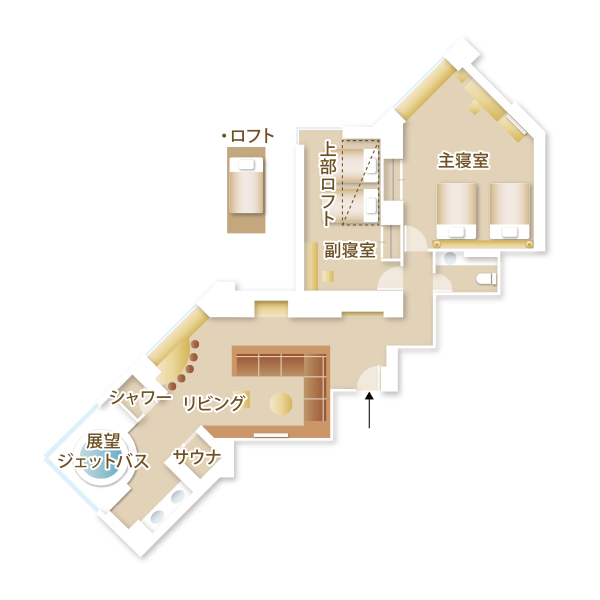 * Due to the building structure, all the Suite Fourth (4-person suites) are located on floors 15 and lower. You've got plenty of room with a separate living room, master bedroom, secondary bedroom, view jacuzzi, shower room, private saunas in 120m². You’ll feel relaxed in the spacious room. Everyone has their private space in this spacious suite. 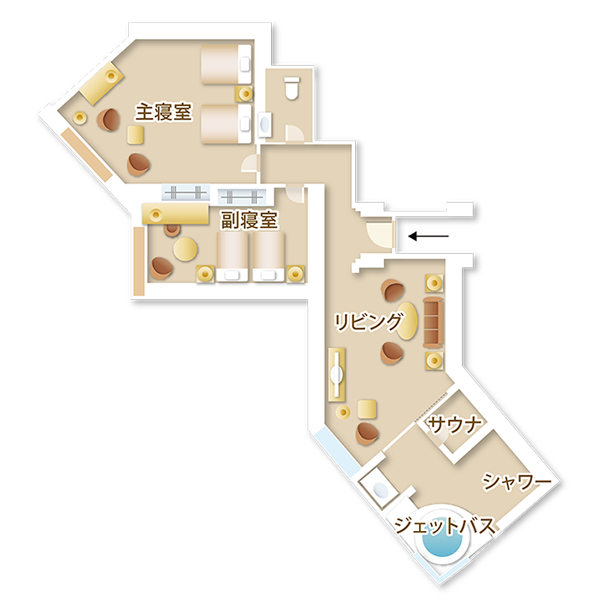 * All the Suite Sixth (6-person suites) are located on the 6th floor. The designed room has been inagurated in 2017. Each room is on level 28th, and has an observatory jet bath, sauna, and advanced toilet seat installed. 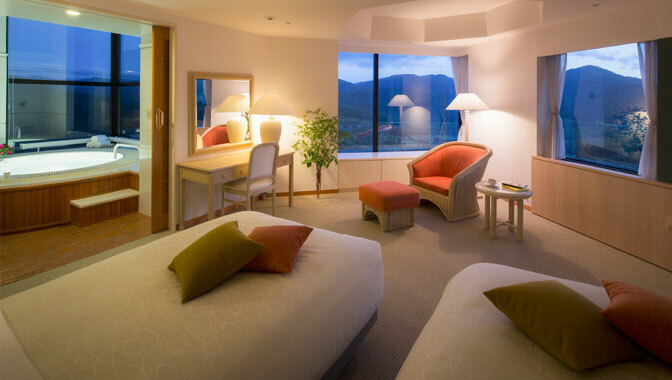 It ensures an entire area of 100 square meters, mini bar, audio speaker, and free wifi with in the room is available. 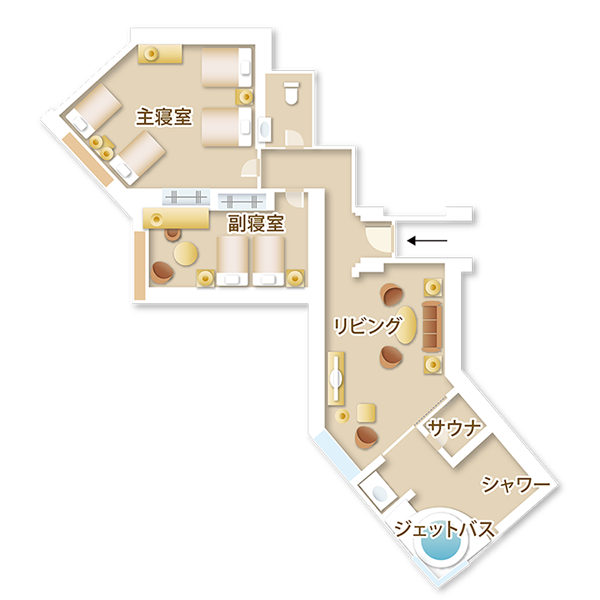 * This room is on level 28th. * This room is on level 15th. * We have 2 different rooms. One has two lower beds and one loft bed, the other has three lower beds. 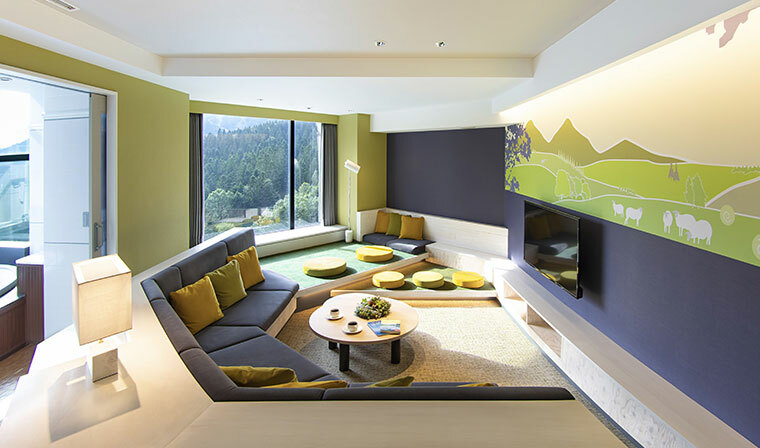 With the thought "the most tired person during a trip is the mother", a room concept was created by the in-company "MAMARAKUDA Committee". 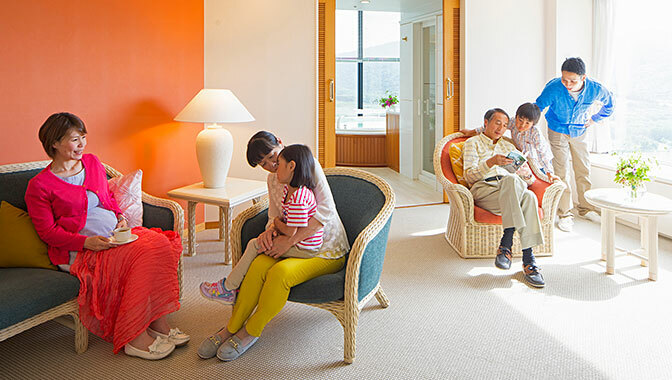 This room promotes efforts to reduce the stress of mothers and help them further enjoy their stay. The room is baby-proofed and there are no shoes allowed. 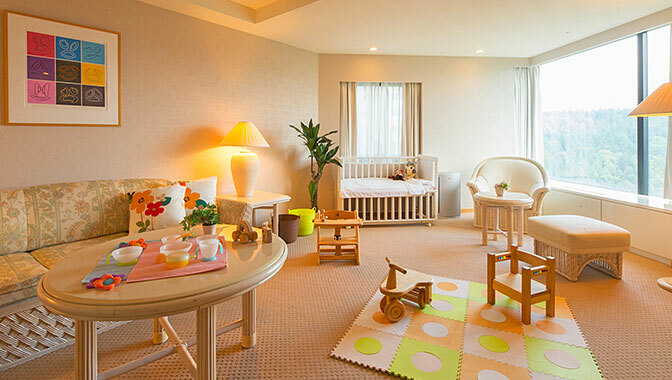 The room is prepared with a jacuzzi and bath goods that you can use with your children. 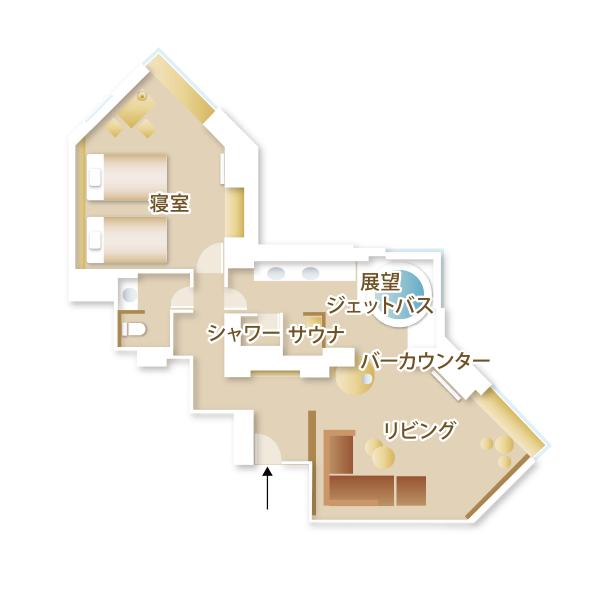 * All the MAMARAKUDA Suite are located on the 11th floor.